Many years ago when I started collecting native American jewelry, I concentrated on silver jewelry (that was my favorite), and I concentrated on the southwestern section of the U.S. as that is the type of jewelry that caught eye. I also admired the native American tribes from this part of the country because for most of their history they had been peaceful people. I admired their fortitude, their culture, and their artistic abilities. Simplicity of design is important to me, and in my opinion, more elegant than other types of fabulous jewelry. That is because I admire the simplicity of native American lifestyles. I guess that is why I have ended up in Taos. It is a simple lifestyle here and off the beaten path, as they say. Also, I am now ensconced in native American jewelry and happy to be here. The major native American tribes here in the southwest are the Navajos, Zuni, and Hopi. They are my three favorite as far as native American silver jewelry is concerned. Each has its own distinct style and represents the native American beliefs and culture here in the southwest. 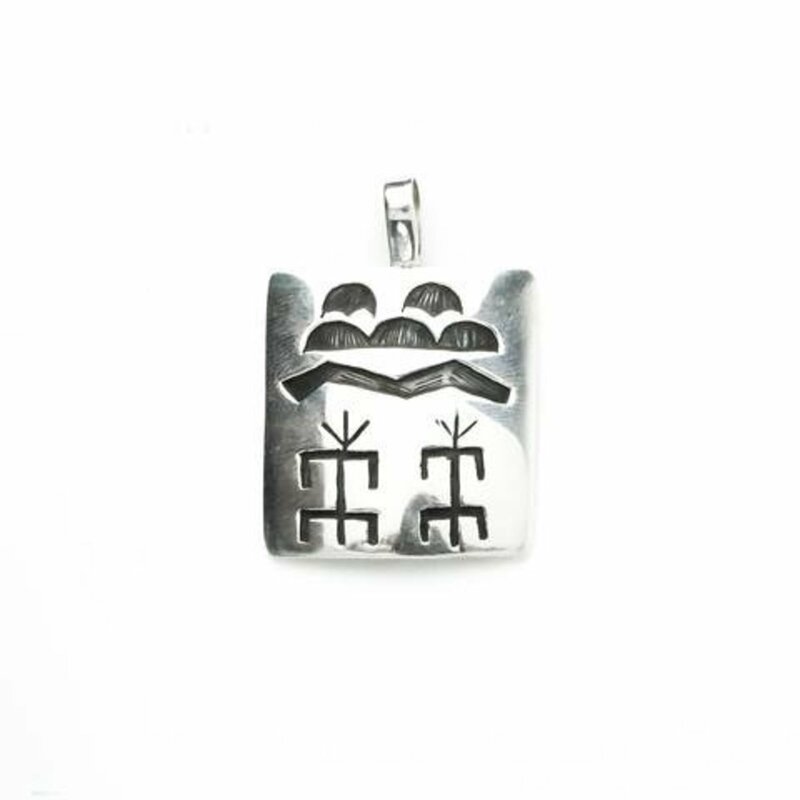 Now, it is time to shine a light on Hopi silver jewelry which has a style of its own and is quite different from other native American jewelry. Hopi means the "peaceful ones" and they are the indigenous people whose ancestry traces back to the Ancestral Pueblo people who were the prehistoric in habitats of the Four Corners, where Colorado, Arizona, Utah, and New Mexico come together in the southwest. They lived and continue to live in the Arizona desert on top of and around three large mesas, which they call the first, second, and third mesas. They raised corn, beans, squash, and melons and were mostly agrarians rather than hunters. Their original village, Oraibi, is believed to have been established around 1050 CE on what is now called the third mesa. Today, the village is believed to be one of the oldest continuously inhabited villages in North America. The Hopi are a deeply spiritual people whose beliefs are ingrained in their lives. Harmony with nature is at the center of their beliefs and is reflected in their jewelry even today. 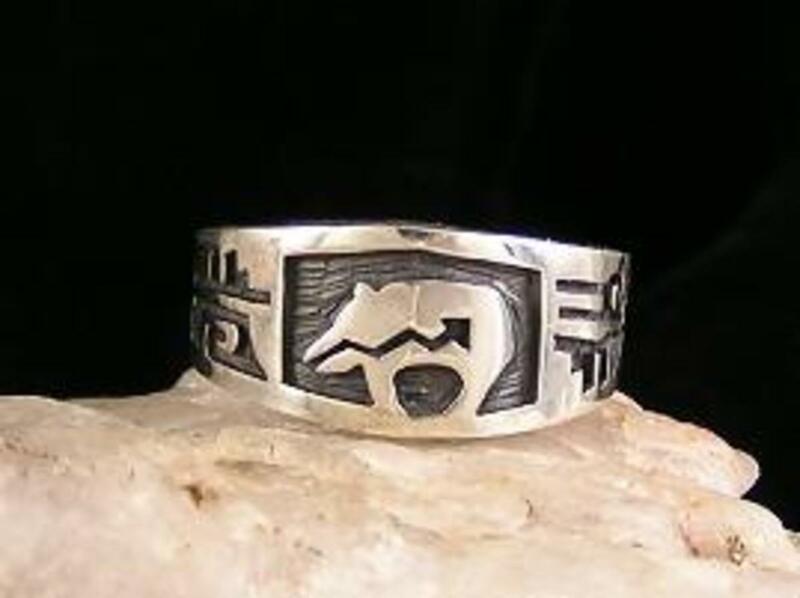 Animals have special powers and abilities to the Hopi and are often portrayed in their jewelry designs. Other traditional symbols and designs include, cornstalks, bear claws, weather, man in a maze, and kokopelli (the native god of fertility). 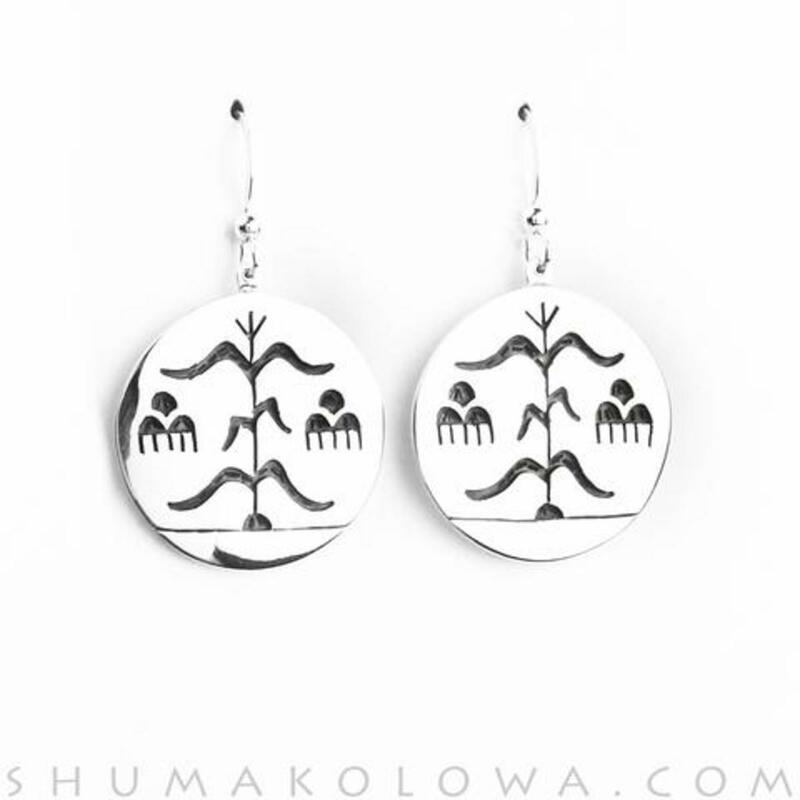 Their jewelry also contains Kachina figures and their symbolism and meaning varies within the Hopi culture. Some believe they are a supernatural creature that provides rain while others see it as a liaison between man and gods. 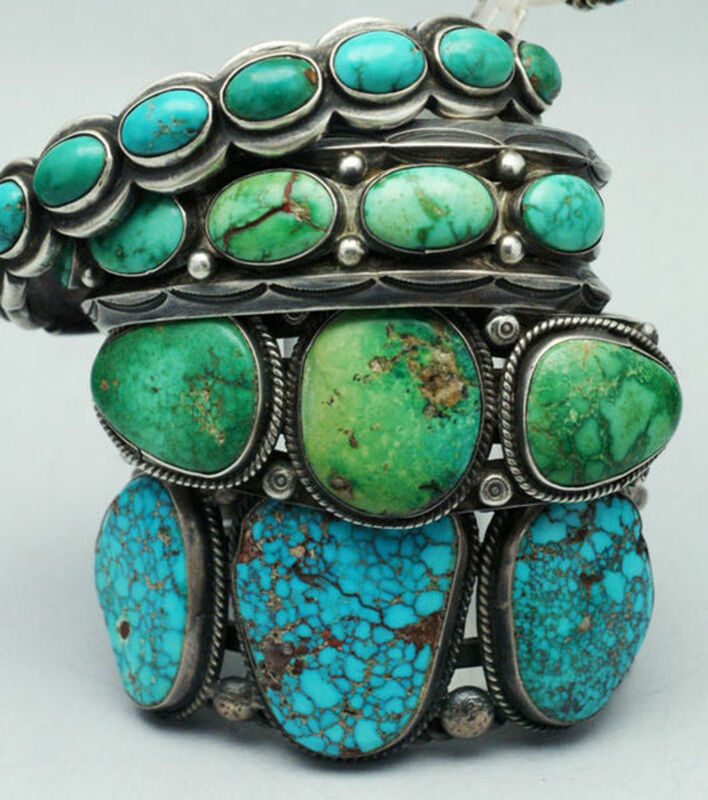 Early Hopi jewelry was made from turquoise, stones, shell, wood, and seeds. Sileyatala from Walpi village, on the first mesa, is believed to be the first Hopi to learn silversmithing from the Zuni around 1898. Soon Hopi natives from the second and third mesa were learning silversmithing around the 1900's. Sikyatala's jewelry learners, however, crafted necklaces and bracelets that were indistinguishable from the work of the Navajo and Zuni jewelry makers. 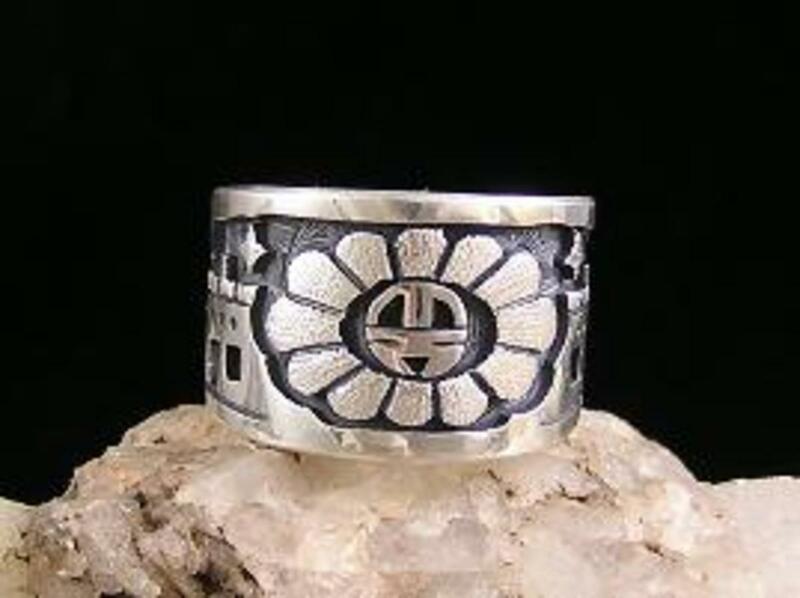 Then, around WWII the Hopis created a silver jewelry in an intricate overlay design, which was totally different from Navajo and Zuni silver jewelry. They sought to distinguish themselves from other southwestern jewelry artists and they did. An overlay design is constructed by two layers of sterling silver. A design is traced on the first sheet of silver and then is painstakingly cut out with a jeweler's saw by hand. This top layer is then silver soldered to the second sheet which becomes the bottom layer of silver. The bottom layer is visible under the top layer through the cut designs. Then, texturing is added to the bottom layer in all the open areas of the design using a hammer and a small punch. The piece is then trimmed to its final shape and size. The assembled item is hammered into its final form, contoured and blackened with liver of sulphur to enhance the negative areas of the design. The top surface is then buffed to either a matte-like satin finish or to a mirror-like high polish. This process gives the Hopi jewelry depth as it is accentuated by the use of an oxidized or textured silver base. The brushed of polished overlay stands in brighter contrast to the darker background. 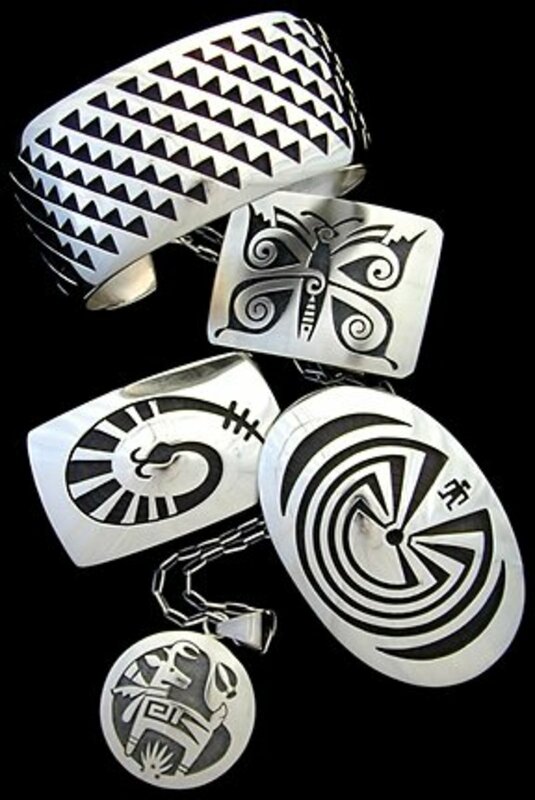 When buying a piece of Hopi silver overlay jewelry look at the piece for its style, design, and balance. Look for the quality of workmanship for precise cutting of the design and for uniform punch marks in the recessed areas of the design. Always look at the reverse side of each piece for the hallmark of the silversmith. 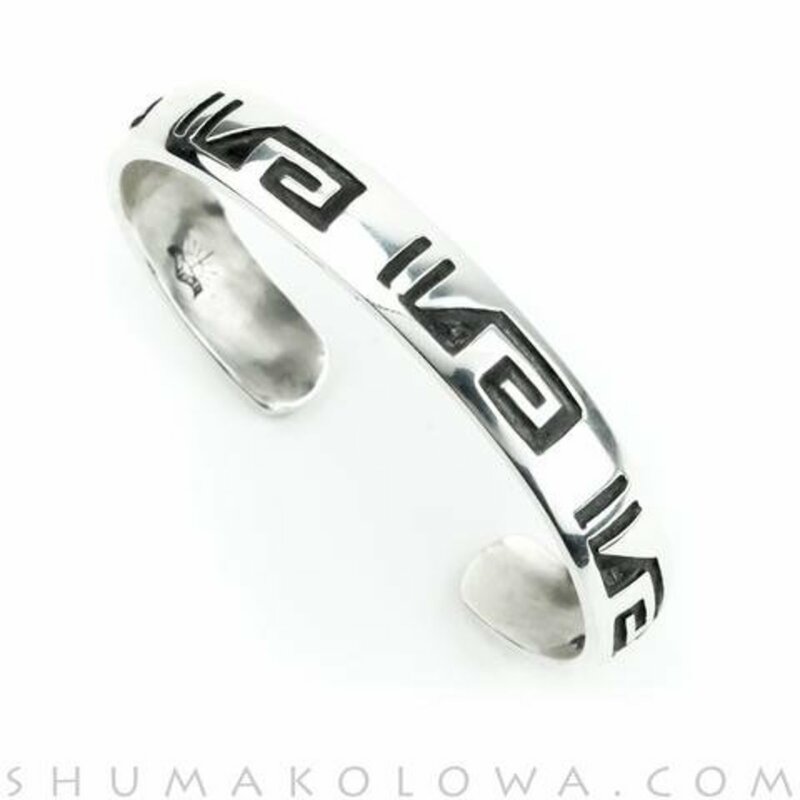 On Hopi jewelry a signature will not be found; instead a hallmark is used. 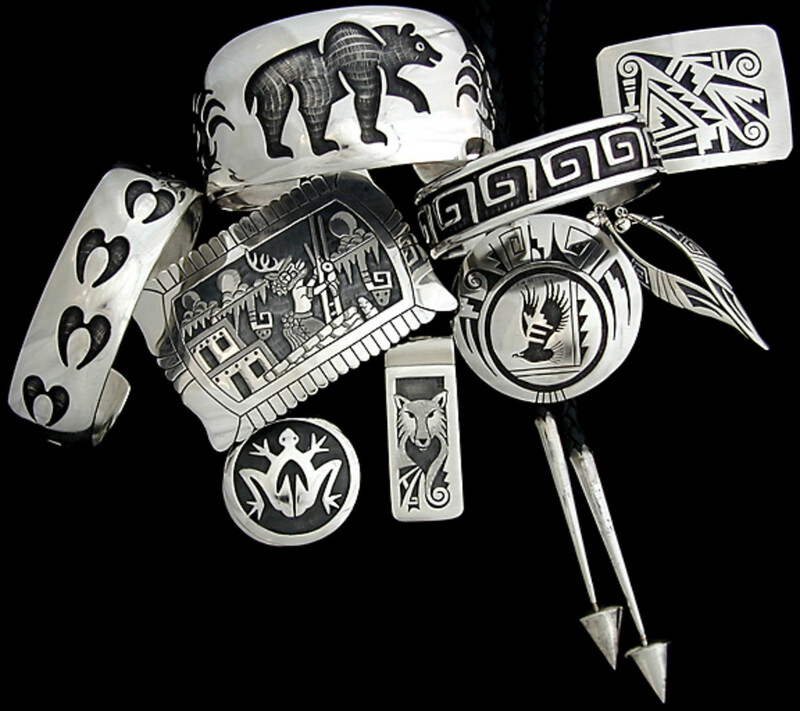 Every Hopi silversmith has a unique hallmark and uses it as his or her signature. For example, a hallmark could be in the shape of a bear, the sun or the shape of an open palm. Each hallmark is unique and refers back to the artist who made the jewelry. Look for this as well as the silver stamp 925. Always use a silver polishing cloth to polish your jewelry piece rather than a liquid or paste silver cleaner. This is to avoid removing the black oxidation from the recessed areas of the design. 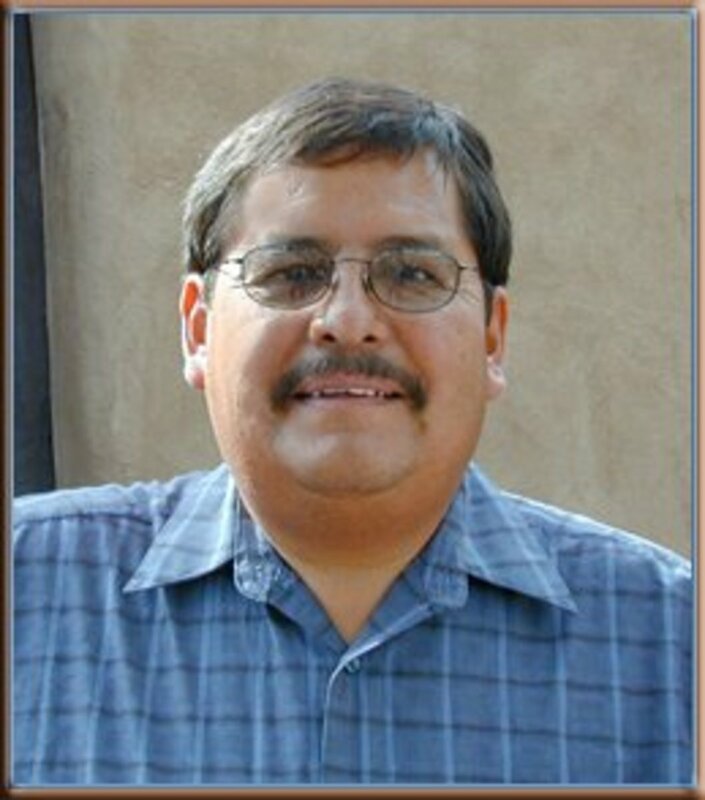 Hopi native Ramon Dalangyawma began silver workinig in 1979. His designs come from his experiences in life. Clouds, thunderbolts and rain are his designs because they are important in an area with no irrigation for crops. Each Hopi clan's religious symbols are the basis of Hopi life. The bear, spider, antelope, prayer feathers, kachinas, kokopelli and corn are many symbols he uses. His work is characterized by the very heavy silver he uses and the precise cutting of his designs and his meticulous stamps on the background of the piece. Navajo Peoples Magazine in an article by Diane F. Pardue states that Watson Honanie learned his jewelry making during the summers while in high school. He practiced with his brother, Phillip, and learned many of the basic techniques of silversmithing from him. He would take scraps of silver given to him by his uncle and he would practice on these. He cut designs from his clan symbols that appear on petroglyphs (rock drawings) on canyon walls. Rain clouds, turtles, geometric water designs are what he used because they symbolized direct references to rain. His particular hallmark is a hand in the shape of an open palm and inside the hand is the friendship design of his brother, Phillip. 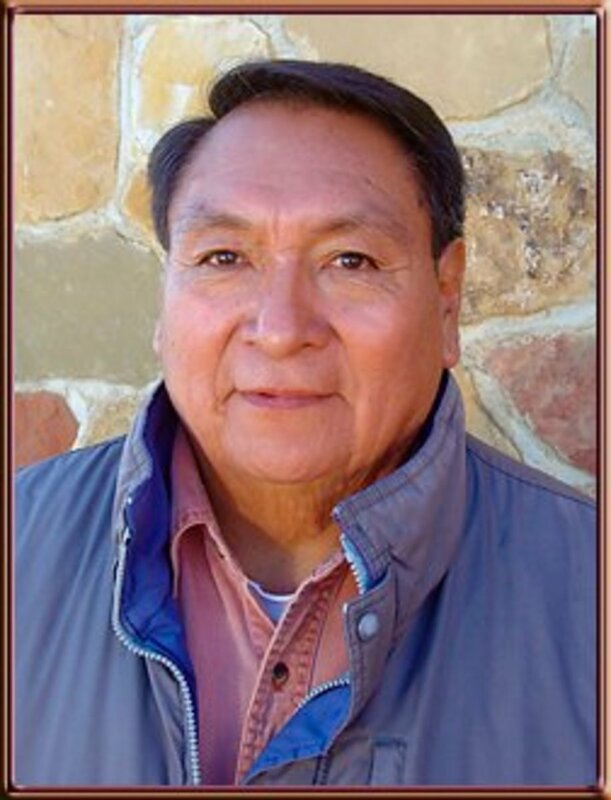 Loren Kootswatewa, of the Hopi Sand Clan, learned the art of silversmithing from his two brothers. He later attended school in Tuscon where he took art/jewelry classes that helped him perfect his overlay and stonework. 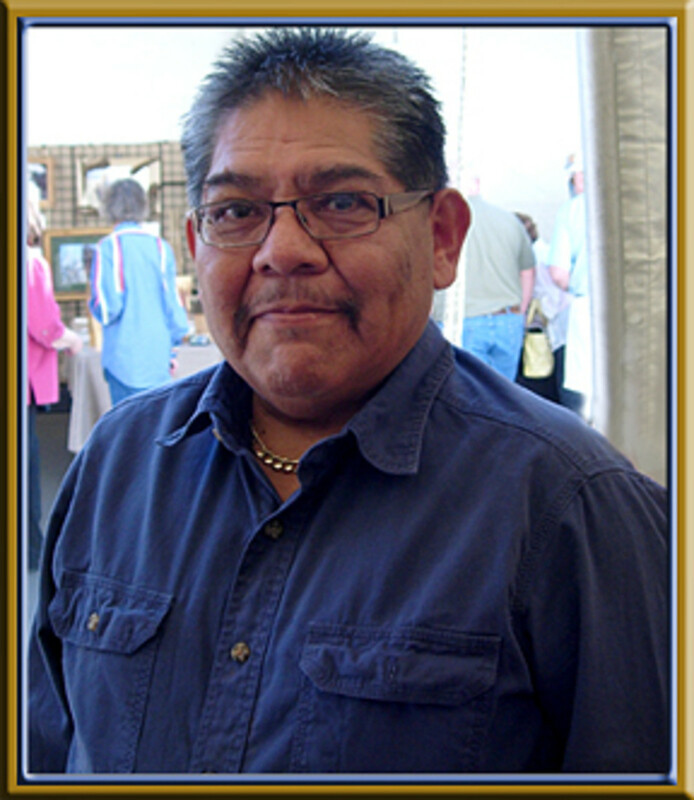 He is very accomplished in the ways of the Hopi's and many traditional Hopi crafts. 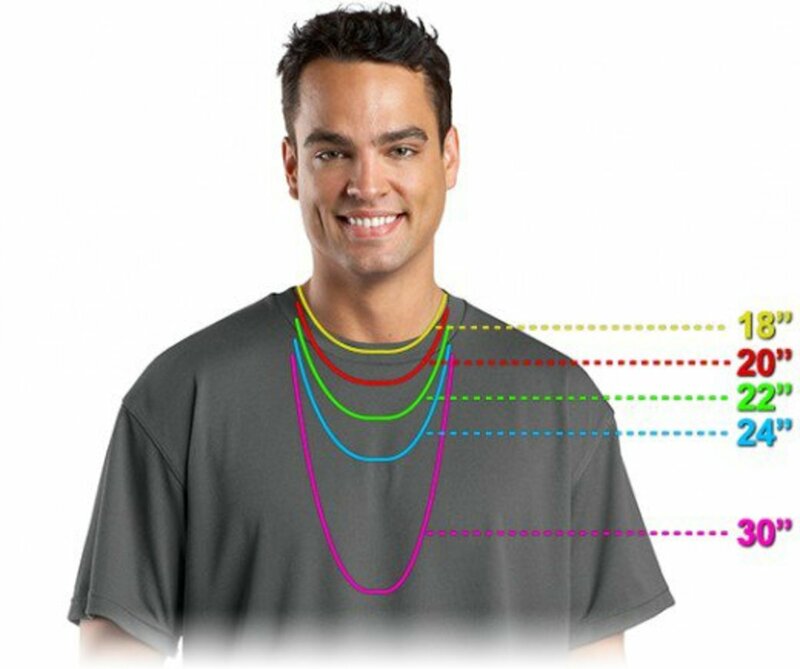 He specializes in making silver chains. He says, "Hopi wisdom says we are all linked together through heart and soul. . . In all our lives, we have a special link which keeps us together in our hearts and mind. A part of myself goes into each piece I make." What is Genuine Sterling Silver, marks and hallmarks. So glad you enjoyed reading this, Devika. Just one of my hobbies, learning to tell the difference between the native American jewelry. Amazing! You shared lovely photos! Thanks Dianna. I am glad your enjoyed reading this. Thank you Blossom and I am glad you enjoyed this and found it informative. It is nice to read about the history of this jewelry and the men who design it. There is much interest in a piece that tells a story. What an interesting and informative article and I just loved all those photographs and the unusual designs. Glenis: Thanks for stopping by to read this and I am glad you enjoyed it. Chitrangada: Thanks you so much for reading this and I am glad you liked it and the jewelry. I think it is beautiful also and I have a Hopi made bracelet that I love. I have discovered a whole new culture here in the southwest. 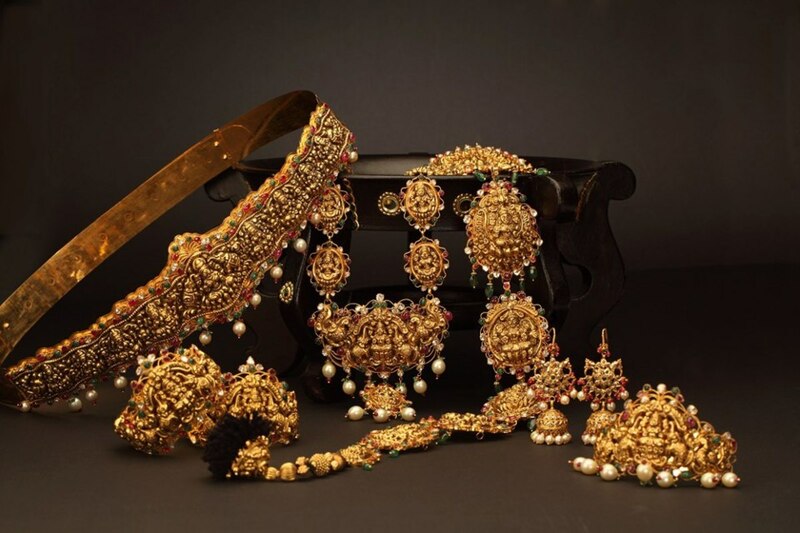 Amazing jewellery and I loved going through the interesting details! This is really distinct and thanks to the artisans who are carrying forward the beautiful tradition. Thanks for introducing me to the Hopi culture and the wonderful jewellery. whonu: Thank you very much and I am glad you enjoyed this hub. Yes, the Hopi culture is a good one and they are very talented in many ways, not just in jewelry making.